55. 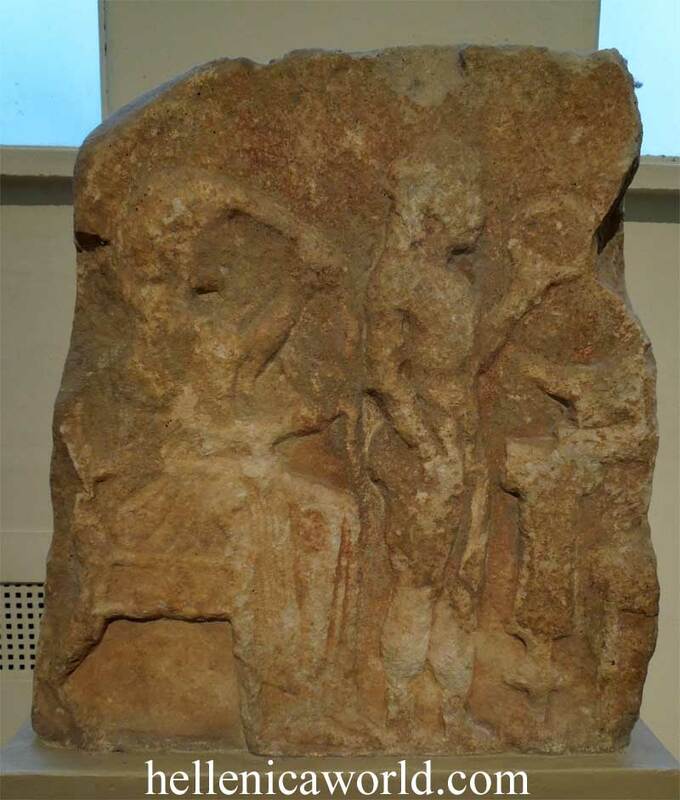 Fragment of a votive relief. Doliana marble. Found in Tegea, Arcadia. Incorporated into a house wall.